Is that why the Government spent that staggering €38m on the Eircode system (“‘Bin garda’ to crack down on households that don’t dispose of their waste properly”, Irish Independent, February 4)? To use as a tool to snoop on what citizens, mainly the poorer ones no doubt, do or don’t do with their refuse? That aside, has this ‘plan’ been seriously thought through? The intention to issue on-the-spot fines as part of this new initiative, with no mention of any waivers or alleviations where there is poverty, has all the appearances of a return of the Poor Laws… people being further penalised for being poor. 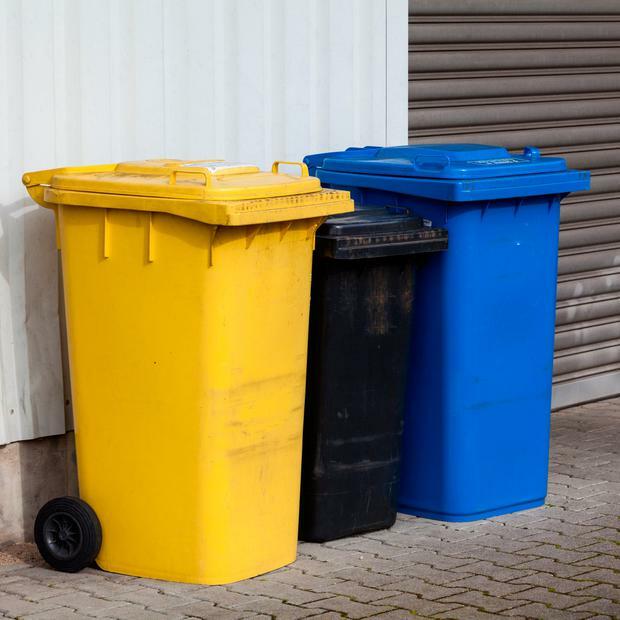 In addition, your report that inspectors will be able to issue fines of €75 on anyone who “can’t prove they are disposing of their waste legally” flies in the face of the legal principle that one is considered innocent unless proven – repeat proven – guilty. Surely waste management in this country is in a big enough mess without compounding it with half-baked, unworkable schemes that might even expose the State to claims of miscarriages of justice on foot of fines being issued on the mere suspicion that waste had been illegally disposed of? Methinks this is just another fine mess in the making. Listening to and reading the recent media coverage of the Masters Court (the High Court), I do think this service is coming in for unfair criticism from some quarters, insofar as one of the main functions of the Masters Court is to acquaint the common man/woman with the procedures and parameters where lay litigants are involved and ensure they get a fair hearing. It is the master’s statuary obligation to create a level playing pitch where reams of paper are being churned out in a factory-like manner by one side or the other, creating an unfair advantage. As a citizen of this country who is presently in the throes of the Masters Court, I believe the master is doing his best to achieve a fair hearing when both parties eventually go downstairs to the court – or in some cases an amicable solution can be arrived at, which I am sure would be the master’s preferred outcome. It is a sad day for open justice in the courts system when one sees the judiciary interfering with the valuable services the Masters Court provides. The parallel between the jingoism of arch-Brexiteers and the anti-Home Rule politicians of 1921 is deeply disturbing. My compliments to Hugh Duffy for his carefully researched letter which reminds us of parliamentary behaviour in Westminster almost 100 years ago. The then-House of Commons was described by a member of the Irish Parliamentary Party, William O’Brien, as being “raucous with the jeers and derision of Ireland’s own so-called representatives”. The letter reminded me of the presidential debate in 2011 hosted by Pat Kenny, on RTÉ. I wasn’t reminded of the dramatic fall of Seán Gallagher – who could forget that? – but of another set of responses to a question from the audience. In these moments a mirror was held up to the nation, but, I suspect, most of us averted our eyes. A young woman challenged Martin McGuinness and Dana as to why they were running for the presidency when, as far as she was concerned, they were from another country (the UK) and had nothing to do with Ireland. The response was extraordinary. Dana and Martin formed an unusual alliance: in their eyes and their voices, in their defensive words there was a softness that could only be genuine. Each spoke, movingly, about how they always looked south; about how they could still feel that abandonment, passed down the generations since partition; this was their inheritance, their desire to belong, to be part of an Ireland of 32 counties. That hope was visibly leaching from them when they realised that this young woman, born at the end of the 20th century in the south, cared little about their plight. The cruelty of partition meant that some people in Ireland did get to be Irish (with bells and whistles and loops and lace) but some others, nationalists – mainly Catholics – had to deal with being politically locked into the United Kingdom. Their hearts were Irish, but their pockets were British. I ask you, reader, the following question. If it was 1921 and you were living somewhere in Ireland would you be pro-treaty or anti-treaty? If you were a Catholic living in Antrim would you be for partition or against partition? Same question if you were a Protestant living in Fermanagh. Go figure.